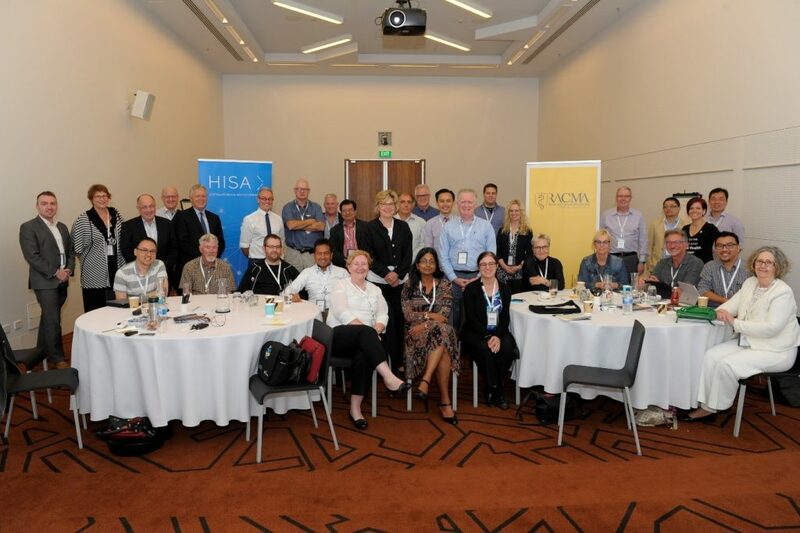 HISA conducted a Clinical Informatics masterclass for medical executives last month at the annual conference of the Royal Australasian College of Medical Administrators (RACMA). Facilitated by leading health informatician and health informatics author David Rowlands, HISA CEO Dr Louise Schaper and RACMA Fellow and long term clinical informatics advocate Dr Tony Sara, the masterclass focused on maximising the value of clinical informatics by strengthening awareness and understanding. Executives covered a range of digital health issues and topics: How to deal with increasingly large amounts of healthcare data, rapidly advancing technologies and ways for dealing with the unintended consequences of implementing digital technologies in socio-technical environments. Dr Schaper said HISA was committed to building an educated and empowered digital health workforce and would be working more closely with peak bodies like RACMA in the future. A day for clinical informatics: HISA conducted a masterclass for RACMA members.